Richard was educated at St John's School in Barnsley, then became a Miner by trade. He enlisted in the R.A.M.C. on 14th January 1915, then entered the war in France on 25th July 1915. 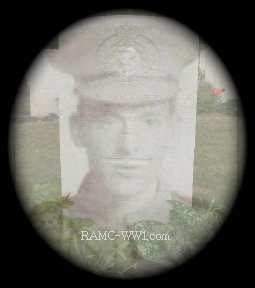 Richard was the only son of the late Frank Powell, by his wife Annie (Daughter of Richard Coldwell) - remarried John Henry Hemmingway of 233 Barnsley Road, Cudworth.